For the past few years, recording videos has become a very popular trend, because videos are a more comprehensive and direct way to save precious memories of people’s daily life. When mobile devices own the ability to record high-quality videos, many people are accustomed to using them to record ordinary or special moments in progress. And AirMore videos function is a great helper for you to manage all these videos easily on web. Next, let’s see what its functions are. On AirMore Web, you could freely transfer videos between mobile device and computer without USB. Click the “Videos” icon on the left part of the web. Note for Android users: the videos will be compressed as a zip file once you download more than three. Select the videos from the computer. 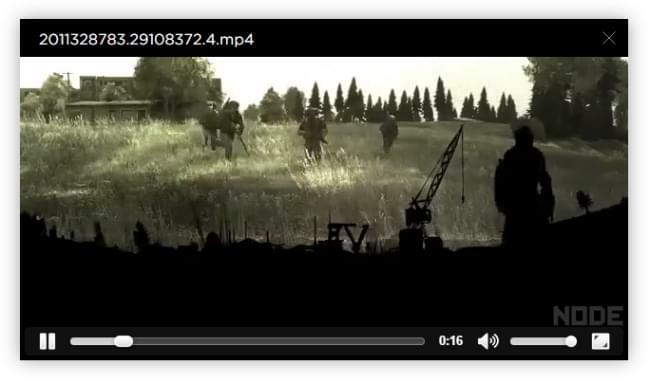 Another way is to drag videos into the browser to transfer. You can directly open and view the videos on the browser. You only need to put the mouse on the top of one video, and click the “play” icon or double click the video. While playing, you are able to do the following operations. Tip: The playing performance depends on the speed of your Lan/W-LAN. If it functions well, the video will play smoothly. 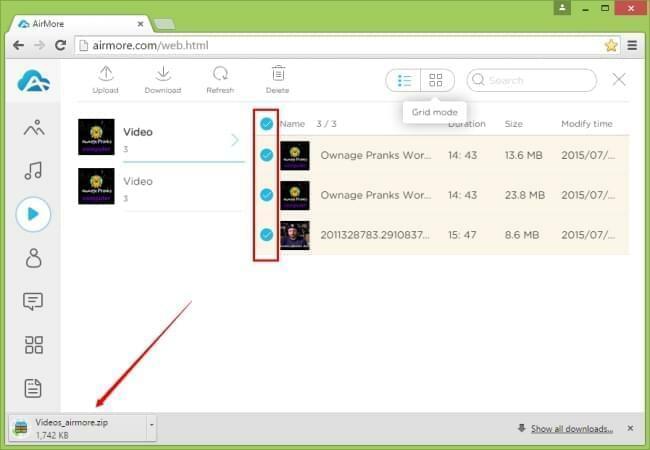 If you have unwanted videos, you can delete them on AirMore Web conveniently. To delete one, you can put the mouse on it and click the “Delete” icon under the video. To delete more, you may select them and click the “Delete” button on top. 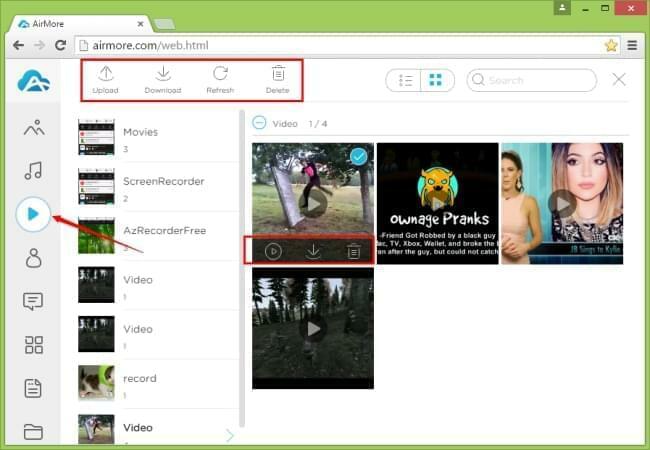 On AirMore Web, you are able to view the videos in two modes, which are list mode and grid mode. Under list mode, you can see the videos’ name, duration, size and modify time. As for grid mode, it allows you to view the videos with larger and clearer thumbnails. They are designed for different needs. You only need to click the icons on the top right corner to change. Input the information of a video into the searching box, and you can locate it quickly. It can be seen that AirMore could assist you to manage your videos of mobile device in an easier and handier way. However, when using AirMore videos feature, you may come across some troubles. For example, if you would like to transfer a video into a phone, but the phone doesn’t support this video format, then you may try the “Video Converter” under the “Tools” tab. Besides, you can also use “Video Downloader” to download videos from the internet or use “Screen Recorder” to record your own videos, and then transfer them into your mobile device.